So your child has gone through all the training and loyalty programs of the First Order, but the question remains... are they going to follow the orders of Captain Phasma, or are they going to second guess their decision to fight for the bad guys? You won't know for sure until you suit up your little one in this Star Wars The Force Awakens Stormtrooper costume. With signature details from the new film, they might follow their orders to a tee, or the might team up with Finn to go rogue. 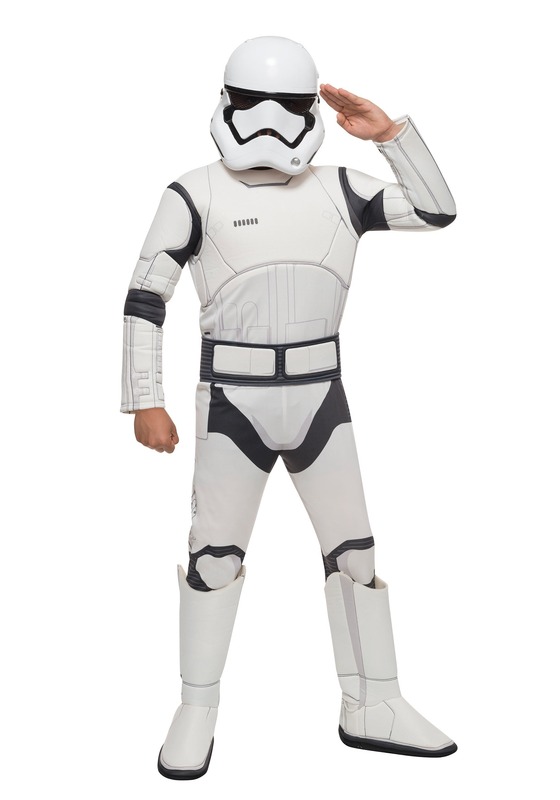 Whatever path they choose, we're sure they're going to have a great time with this authentic Stormtrooper look! My son loves this costume. He was so excited to try it on and wear it for a while.